Dark Souls, the smash-hit console RPG arrives on PC in a content-enhanced special edition. This third-person role-playing game retains all the dark claustrophobia, rich atmosphere and challenging gameplay that made it such a hit, finely-tuned to cater the PC gaming audience. Tense dungeon crawling goes hand-in-hand with fearsome enemy encounters, rewarding challenges and nuanced weaponry and magic.Dark Souls: Prepare to Die Edition also includes an enhanced PVP mode as demanded by the fans, allowing players to more closely assemble battles against one another online in an all-out fight to the death. 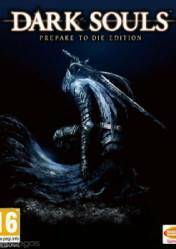 On top of this, the Prepare to Die Edition also features an untold chapter in the world of Lordran where you will have to face and defeat the Dark Knight Artorias and stop the spread of darkness at all costs. This game is mor than a game, this is a new life for everyone who plays it. Probably one of the best games in the last decade. If you haven't played it, you're missing out. Very hard, only if you like to mash button without knowledge, If you like good mechanics and like to be tactical, this is definitely your game. Don't expect Dark Sould to tell you typical story, one of its pros is Lore and world talking to you directly. its ok i guess I mean while graphic and atmosphere are pretty nailed the difficulty most of the consist of more ennemies, like here a skeleton...pretty cool huh well here 2 skeletons we know we know you don't have to say we are the best game developper of all time ! One of the best games for me. The difficulty makes you always stay on guard. Optimization for PC is not very well made, but after some time in the game you realize that it is perfect. Although Dark Souls itself is a fantastic game, the Windows version is a notoriously poor port with input and graphical issues. However, I seem to recall there being a fan hack that dramatically improves the game performance, making it possibly worth getting this version.